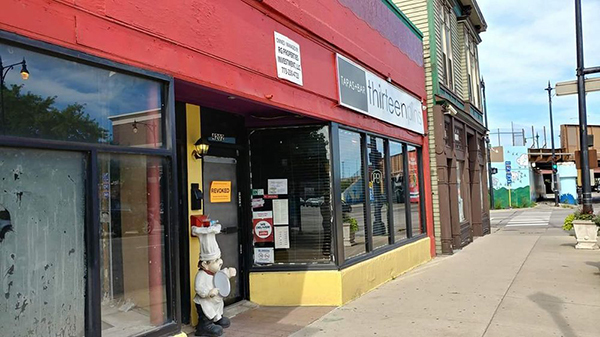 Thirteen Pins Tapas and Bar, 4202 W. Irving Park Road, reportedly has operated without a state liquor license for nearly 3 years despite regulations which require both city and state licenses for liquor establishments. The restaurant’s most recent state liquor license expired on Feb. 28, 2015, and the restaurant should not be serving alcohol after that date, according the Illinois Liquor Control Commission. The state license helps the state with collection of sales tax and other revenues and is issued after the applicant receives its liquor license from its local municipality, said commission spokesman Terry Horstman. However, no enforcement action was taken by state or city agencies to stop liquor sales at the restaurant due to the lack of a state license. A spokeswoman for the city Department of Business Affairs and Consumer Protection said last week that the state does not notify the city when a state liquor license lapses. "That is very frustrating," Alderman John Arena’s chief of staff Owen Brugh said of the lack of enforcement on the state licensing issue. "We’ve had multiple complaints about the business and its patrons. We have been working with 17th District (police) and BACP to bring them into compliance." Brugh said that the alderman’s office has received complaints that the business was operating more as a tavern than a restaurant, with complaints of noise, and rowdy behavior by its patrons. Several patrons have posted online reviews of the restaurant complaining that they never received food that they had ordered. There also were reports of video gaming but that issue appeared to be "short-lived," Brugh said. Thirteen Pins has a city license for incidental liquor sales, which requires the primary source of revenue to be from non-liquor sales. A lawsuit was filed last week seeking to evict the operators of the restaurant, and a sign on the building states that it is for sale. Both the city and state licensing agencies reportedly are looking into possible enforcement action against the restaurant since media inquiries into the status of the restaurant’s licenses were made last week. Arena also requested that new enforcement action be taken given the status of the restaurant’s state license, Brugh said. The restaurant has faced licensing issues with the city, and in July of 2017 the city issued a revocation order for the restaurant’s city liquor license, Brugh said. The revocation order was in response to a reported violation of a 2014 cease-and-desist order, which charged that the restaurant was operating as an entertainment venue without a public place of amusement license, Brugh said. Online postings for the restaurant have promoted music, performances by disc jockeys, karaoke and parties. The revocation order of the liquor license was reversed a month after it had been issued, according to Brugh. The business affairs department would not immediately release information about licensing violations connected to the restaurant and required that a Freedom of Information Act request be filed for the information. Nadig Newspapers filed the request, and the department has at least 5 days to respond to the request. The restaurant’s city liquor license, which is renewed every 2 years, expires in December. The restaurant was operating last weekend, according to residents. Meanwhile, a man who reportedly told police that he owns Thirteen Pins was arrested in a reported drug raid at about 2:30 p.m. Thursday, Dec. 21, at a home in the 6200 block of North Artesian Avenue, according to 17th (Albany Park) District police. A CPD narcotics postal team conducted a search warrant after methamphetamine was allegedly received in the mail at the home, police said. Four men were arrested on drug charges and one of the suspects was identified by police as Eduardo Pineda, age 72, who listed his home address as that of the restaurant, in the raid. Police said that the man is an owner of the business and that he was charged with felony possession of methamphetamine. According to police, a new owner had purchased the building and was made aware that there were issues with the restaurant and was trying to correct them. A private social club in the same building at 4204 W. Irving Park Road was shuttered because of resident complaints, police said. The Dec. 21 drug raid was not related to the restaurant, according to police. "The bar was not involved in this. There was and is no indication, information or intelligence wise, that drugs were being sold or stored in the bar. The search warrant was a result of the Narcotics Section being given information by US Postal Inspectors of a suspicious package," said 17th (Albany Park) Polie District commander Elias Voulgaris.